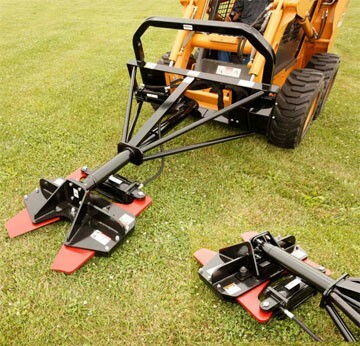 The Commercial Skid Steer Mount uses our strongest clipper head (663000). The mount has two extra stabilizer bars for a total of five. The rotator also has several extra gussets. This unit also includes a wireless remote to activate the solenoid valve for rotation. It is now easy to move from one piece of equipment to another without the hassle of a wiring harness - also, no more wires getting tangled in the brush. Maximum Cut Between 9\" and 12\"